Blogging is a passion and passion leads to success. But, there are many other things you need to take care of while starting a blog. Passion alone won’t bring you success. Essential blogging factors like a brandable name, web hosting, themes, promotion, etc. decide your success. Moreover, consistency and willingness to work play a huge role in deciding a blog’s success. And while starting a blog, every new blogger make few mistakes which makes their blogging path difficult and often lead them to complete failure. The list is a compilation of mistakes I have made or saw someone making which resulted in a loss. 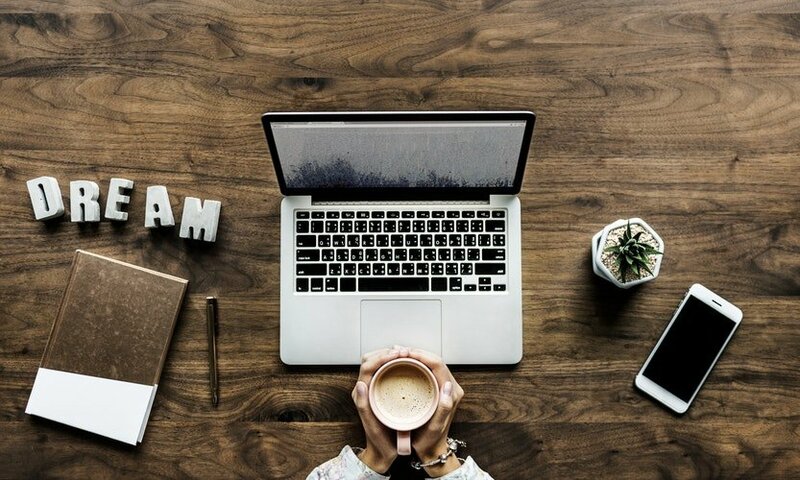 Considering you’re a complete noob to blogging and want to make it big here, I have compiled a list of 21 Blogging Mistakes every new blogger make and how to avoid them. The first step of starting a blog is to think of a domain name. The domain name you choose represents your brand and should stick to reader’s mind. Although you can change the domain at a later stage, it becomes another hassle and risk of messing up everything. 3. It should represent your blog niche. If possible, it should include one keyword as well. However, avoid registering an Exact Match Domain (EMD) name if you want to be safe from Google penalty. There’s no hard and fast rule that says you shouldn’t get a new extension, but this is something which will help you in a long run. Most internet users are familiar with Top Level Domain extensions like .com. net or .org, and thus it is habitual for them to add a .com extension after your brand name. Some popular brands are using .io, .tech, .us, and other new extensions, but that’s because they will be the first one to appear even if you type just the name. Being a new blog, you wouldn’t have this kind of luxury. Also, if by mistake you end up buying extensions which are linked to spam like .info, .xyz, .tk, it would be even harder for you to build a brand. To be on the safe side, always try to buy a domain name with .com extension before looking for other alternatives. Another silly mistake new bloggers do is to host their website on a free web hosting providers or buy cheap and unreliable web hosting. SiteGround and InterServer are most reliable shared hosting providers. And their plan starts as low as $2.95/month. Also, the support, free domain, and free migration are some worth mentioning features. Spending few extra dollars is worth the quality you’ll receive. For the complete feature list, iPage complaints, and discounts, check out my iPage review. Additionally for those who are in it for long-term and want a super fast website from day one, turn your heads towards cloud hosting. CloudWays is our recommended cloud hosting tool which makes your site fly. We actually mean it as we saw an increase of 458% in loading time after switching to CloudWays. Similar to the above mistake, a new blogger will try to cut the cost as much as possible. I have seen many bloggers using a nulled theme downloaded from those creepy sites and later complaining about their site being hacked. Recently, one of my clients reached out to me about his site being hacked due to using a nulled plugin, and we had to restore his site from the previous backup and remove all the malicious code. It is not worth wasting time on nulled theme considering most plugins or themes cost around $50 only. Do not repeat this mistake. Securing your site is important. A good theme from MyThemeShop will cost only $19 (limited offer) which is reasonable. If you can’t afford it, then better go with a free WordPress theme. Plugins are the power source of WordPress and with thousands of plugins available in WordPress directory, one need not worry about coding any functionality. But this same advantage has proved to be one of the biggest blogging mistakes. New bloggers, especially those unfamiliar with WordPress will install tons of plugins, one for each functionality, which affects the server power. Additionally, outdated and deactivated plugin posses a risk of site breach and website getting hacked. These plugins should be more than enough to run a powerful WordPress site. Based on your specific requirement, you can install other plugins but make sure to limit the number and frequently delete the ones you longer want. Before installing a WordPress plugin, also see that it has been updated regularly, there are good reviews, don’t negatively affect the server, and there are no better alternatives available. It has become a common sight to see brand new bloggers teaching other “how to make money blogging” when it’s clear that they haven’t even earned a single dollar yet. The same goes for other niche bloggers who fake as a guru and try to teach things about which they have a slight knowledge. Basically, they take the saying, “fake it till you make it” very seriously and try to earn big while doing so. But does that work? I’m afraid, but not. Internet users are becoming smarter by each passing day and it is not difficult for them to distinguish between fake and real personas. 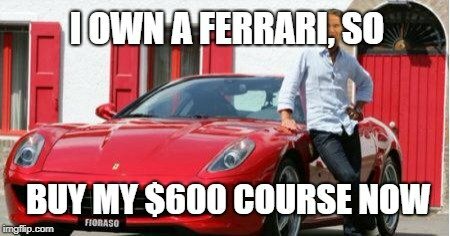 Showing supercars in the background and saying I earn millions per month is no longer accepted by everyone. Your audience would rather love to connect with you on your journey to become a pro while you share your strategies and failures regularly. I do the same, from earning a small amount in my second month blogging, to getting my domain penalized, I have shared it all here. I’m by no means a pro, but my audience knows me and trust what I have got to say. Getting blog ideas which capture audience attention and earns you money isn’t an easy task. It needs experience, knowledge, and extensive research of your niche to come up with blog topics which are guaranteed to be a huge hit. To avoid all these hassles, what new bloggers do is to pick a popular article, rewrite it, and claim it as theirs. Or worst yet, they’ll straight-forward copy the content without providing proper backlinks or credits and hope to get the same level of success. Content, as we know it is the King and the most important part of a website. Quality of content shared on the website is what helps you stand out from the competition and become a go-to place for the niche audience. But by copying or rewriting content from other sites, you’ll invite Google penalty and risk of DMCA complaints. In worst case scenario, your site will be deleted and domain will be banned. Invest time in researching topics and write about it on your own. You can refer to other guides and take some input from here and there, but do not directly copy/paste or rewrite a big part. Additionally, take help of tools like Hemingway Editor and Grammarly to write a high-quality article that flows and are free from grammar-errors. Visual contents are getting popular day by day and not using them is one of the biggest blogging mistakes and limiting factor for your website. Using visual content improves reading experience, increase the amount of time spent on a page, and helps control bounce rate. Use at least one image in each blog post. Also, if your image is of high quality then make sure to compress it before uploading. You can use online image compression tool which will reduce the image size while keeping the image quality. Below 30-second video from Digital Splash Media explains Picture Superiority Effect and how to 6X the information retention rate by using images. A good website font leads to a better reading experience and improves overall blog design. In my previous article about best Google fonts, I shared about the human psychology of different types of fonts. Using a simple font can improve the time required to read the paragraph while a decorative font can hurt user’s eyes and make it harder for them to understand what you’re trying to say. 4. Locate the “Easy Google Fonts” plugin by Titanium Themes and click the Install Now button. Activate it. Next, go to Themes > Customize > Typography to manage what fonts are used for which object. Pop-ups, even after being warned by Google, are part of every other blog and a great way to collect emails and convert them into leads. But, they also are one of the major reasons why your bounce rate is high and people leave your site the minute page load. New bloggers, with a hope, to collect more subscribers, will use pop-ups on every page without proper rules. 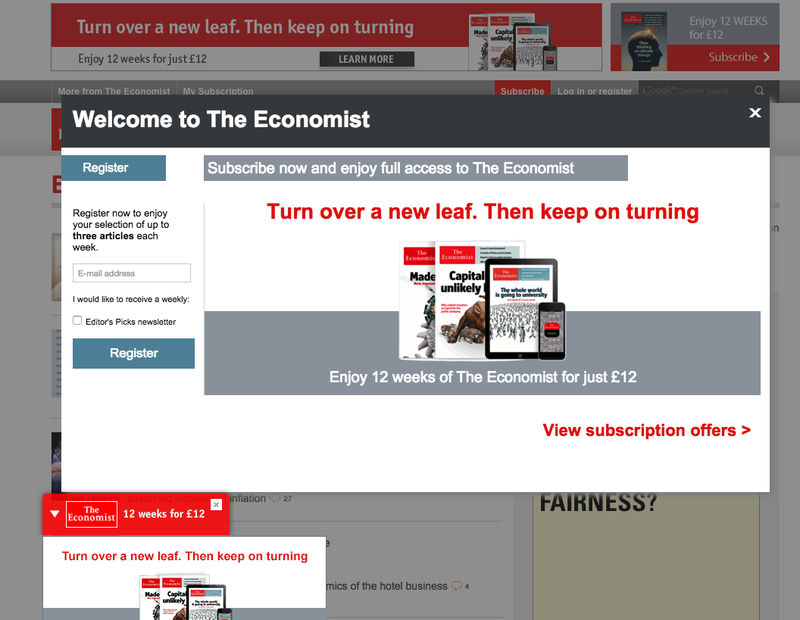 For instance, a popup shown when the user is about to leave the site i.e. exit intent is good, it can stop the visitor from leaving the site and may convert well. But having a popup as soon as the page loads, or after few seconds when the visitor is trying to read something, isn’t a good idea. It breaks the flow and disturbs the user experience. If there’s no proper close button, the first thing visitor do is to click back button and visit another page. This scenario is more common with mobile users as on a small screen size, sometimes the close button gets hidden. The good practice will be to show exit intent popup only on desktop sites. For mobile traffic, in-between opt-in forms can be used. Also, make sure there’s a big close button which is visible on all screen sizes. Search Engine Optimization or simply referred to as SEO is a technique used to rank website pages on search engine result pages for a specific query. SEO should be the first choice to get traffic to your site and possibly the biggest pile of traffic. Organic traffic is best known to convert better than other sources and you don’t have to pay for it. Also, since ranking on the first page takes time and effort, new bloggers try to completely avoid it altogether. Instead, they rely on social media and forums for traffic. If you don’t want to spend thousands on social media ads to get temporary traffic, invest in SEO from day one and try to rank in the first position. Backlinks work like a voting system and if you’ve got more backlinks, Google will reward you by placing your pages on top of SERPs. But, what many forget is, it’s not the quantity that counts but the quality. To prevent spammers from creating low-quality backlinks and trying to rank better, Google has also released a major Google algorithm update called Penguin. Good quality backlinks from authority websites and real bloggers in your niche have the power t improve overall SEO strength and thus rankings. On the flip side, low-quality links from directory links and non-niche relevant blogs will only hurt your site resulting in a Google penalty. How do you differentiate between good and bad backlinks? Content promotion? What’s that? Why do I need to invest my time and promote my content on tens of places when I’m creating most awesome content which will attract traffic to itself? The hard truth is, no article can get popular if you do not put enough time to promote it and take it out to the audience. A general rule which I follow and recommend is to spend only 20% of the time in content creation and 80% of the time to promote it. There are so many places to share your blog posts and let’s not forget about resharing and other forms of content promotion like videos, infographics, etc. If you’re getting constant traffic on your site and want to reach to more people, having social share buttons on each page is the easiest way you’d come across. Having proper social share buttons with proper call-to-action, increase the likelihood of getting more social shares without asking for it. When someone loves your content, it’s natural for them to want to share it with their followers, but having no social media button really turns down the mood. They’ll not do the hard work of copying your link, opening social media site, and then sharing it. You’ve to provide them with an easy way to share your content; social media buttons exactly do that. I started using Social Warfare floating social share buttons on my site and the results are better than ever. Each of my new articles reaches 100 shares within days and it feels great. The buttons are always visible and provide a one-click sharing option at any point in time. As I discussed in this article, 1 email subscriber is equal to 10 social media followers. When visitors subscribe to your mailing list, they allow you to contact them at any point in time and inform them about your blog updates and new articles. Additionally, you can segment out subscribers based on their interest, which is impossible in case of social media followers. But, as it always goes, new bloggers do not focus on collecting emails from day one but rather than increasing social media followers count. And when they do realize the power of email marketing, they start building it like crazy, filling the site with popups and unwanted opt-in forms. So, if you’ve made the mistake of not collecting emails, go ahead and start working on it from day one. To take care of your email marketing, I recommend using MailerLite – a great email management tool for small bloggers and free for up to 1000 subscribers. Trust is an important factor in every business let alone blogging. If your users don’t trust you or not know if what you have got to say is right, they will never buy or use any product you recommend. It will indirectly affect your affiliate earnings and social shares. And if they think the blog is just there to loot them or make money off them, they aren’t coming back. Especially for affiliate product reviews, if you only talk about good points and push hard to try to sell the product – even if it stinks, you’ll have a hard time growing up and making money. From day one, try to provide legitimate information, talk about both good and bad points, share what you honestly think about the product, and try to win reader’s trust. It’ll help you not only have more followers, subscribers, and shares but also becoming an authority and well-known source of information. Goal settings, when properly done, is one of the major driven points for your blog career. But, what blogging mistakes one do is to set unrealistic goals which are too challenging to accomplish or takes a lot of time and patience. There’s nothing wrong with big goals, but you should be capable of doing the hard work and have the patience required to achieve it. Don’t get demotivated or quit just because you failed at one point in time and weren’t able to achieve the goal. What I recommend is to set realistic and small goals which can be achieved in few months. Break down your big goal into smaller steps and properly plan it out. Try to climb one step at a time and keep reducing the time span required for each sub-goal. While I do understand that primary purpose of starting a blog would to be to make money online, there should be a proper understanding of blog monetization and greed. Many bloggers thinking that they can earn more will start showing unwanted ads on their site and promote high-ticket products which generally aren’t worth the price. They’ll start doing sponsored posts about every other product just to earn some quick money. Altogether it affects the user experience and degrades the quality of your site. Your readers will see your blog as another useless website on the internet created just to make money out of them. Avoid being too greedy and focus on providing value to your readers. The more value you provide, better they’ll connect with your blog, and purchase products you recommend i.e. more earnings. When I started blogging, I wanted to cover all the niches on a single blog thinking that it’ll help me get more traffic. But doing so, I diverted my blog niche and had covered only a few topics about each one before I realized that it’s a big mistake. This is the same mistake every new blogger repeats which eventually kills their blog. They’ll try to provide everything for everyone and cover most basic topics of each one. Even if you manage to get traffic, there’ll be no targeted audience and focus on your blog’s future. It’ll also become harder to constantly push high-quality articles and balance proper article ratio to each niche. Also, Google won’t be able to decide what specific niche you cover and hence there’ll always be lack of rankings and organic traffic. Being consistent with your blog in terms of content posting, promotion, or providing quality will eventually lead you to success. But do the opposite, your blog will go down and sooner than you realize, it’ll be out of the business. Stick to a proper content plan and try to post as frequently as possible. Keep providing more information to your readers and make them habitual to your website. It doesn’t matter whether you publish an article a day, three times a week, or once per week. All that matters is how consistent you can be with blog publication. But it doesn’t mean that you should write just for the sake of publishing and have nothing valuable to share. Quality will always have to be there and each post should provide some value to the internet. Plan your content ahead of time and always have at least three article scheduled while you focus on writing more. Before publishing your first post, make sure to create a content plan for the whole month and know what to publish next. You can use these 13 places to get blog ideas of what to write next. Learn from your mistakes, analyze what drowned your ship, and try again – harder than before. You’ll fail multiple times, lose money, but once you witness the light of success, it’ll be all worth it. If you fail in your first attempt and do not understand how to fix it, get a blogging mentor. Let him/her guide and teach you how to properly manage your blog and take it to success. With their experience and your hard work, you’ll be able to hit harder than before and hopefully achieve your goal. 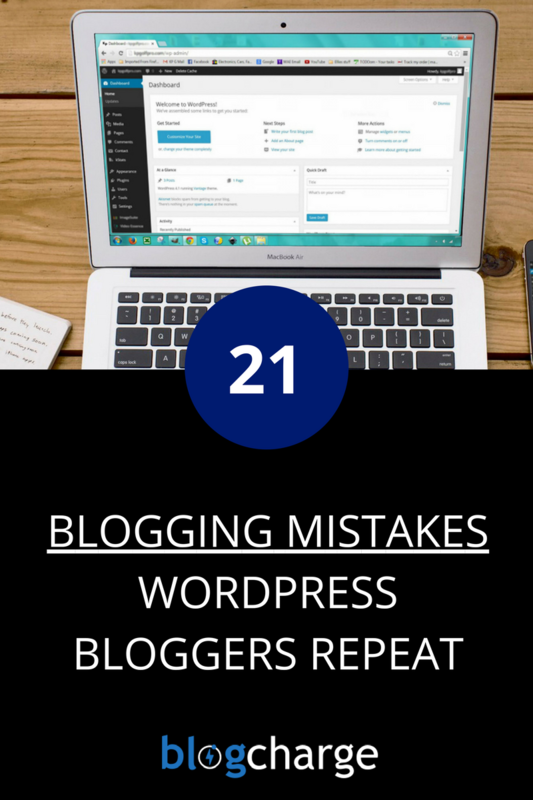 However, you don’t have to repeat this silly mistakes if you are thinking of starting a blog and making it big. If you’ll follow the above-mentioned guidelines, I’m pretty sure your blog will be a huge success. Don’t forget to share this post with your friends on social media channels. Also, do pin the graphics on this page to your favorite Pinterest board. You’re so right with the “Quitting blog after a failure”. I am ashamed to say this, but I closed around 5 blogs because of this, but the blogs were fine, so where the niches. What I did wrong was that I didn’t do any research in SEO best practice, blogging tips and how to write good content. I just wrote how I felt ignoring all the important facts. Thank you for this post, it’s very useful. Research is an important part and we should spend at least few days researching the niche and competition before starting our blog. Thanks for sharing your personal experience. Glad you quickly realized your mistake and fixed it. Totally agreed with point #13. No matter how good the article, without promotion, it stuck there. Nobody will notice it. True, Zaini. You have to get out and promote your articles to get traffic and recognition. Superb article bro .., I was doing many mistakes on my blog which I should not. now I will take care of these things! Glad my post helped you, Ashish. Keep visiting for more. Great post you’ve got here. I think everyone that tries to jump into blogging, needs to read this one. I also made some mistakes mentioned here. I can remember the time I used a nulled theme, and for that reason all of my other websites stopped due to hosting issue. It turned my income to 0 for a week, so from that day on, I never use nulled themes. I was young, around 14 years old, so didn’t know much about it. Thanks for sharing your experience. Using nulled themes can cause more harm than the actual cost of the theme. I always recommend my readers to either use a free theme or buy a premium one. I am an economist by profession and Themify made me use building WordPress sites as a hobby. Now, I manage 7 websites diffreant themes. this is very important optimisation technique to consider. Thanks for sharing your experience, Franks.